Under the new leadership of Artvest Partners, Spring Masters, New York promises to be ‘a fair like no other’. 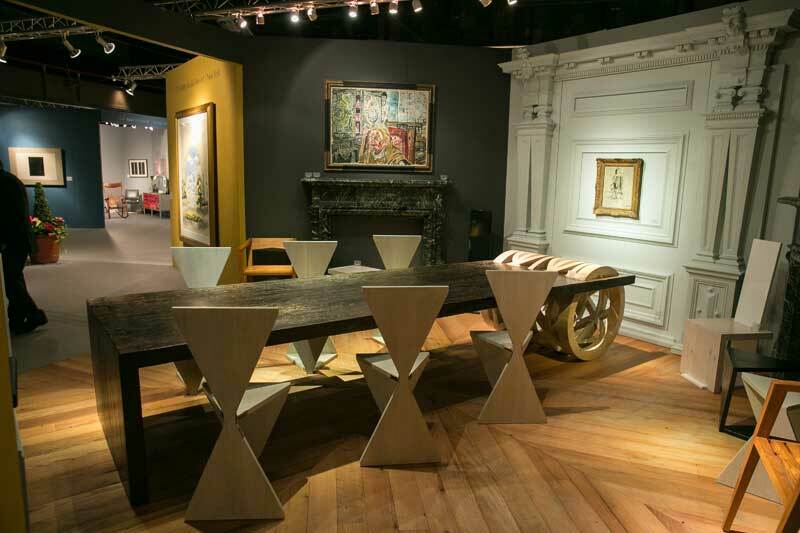 Rebranded (it was formerly known as the Spring Show NYC) and redesigned by the architect Rafael Viñoly, the event encourages collecting ‘across categories’ from antiquities to 20th-century art. We spoke to Jeff Rabin, the co-founder of Artvest Partners, about the fair’s new direction. Who are Artvest Partners, and how did you come to be involved in Spring Masters New York? Michael [Plummer] and I came together at Christie’s in the financial services division. We subsequently formed Artvest in 2009 to help collectors with everything from buying and selling individual works, to financing a collection and estate planning. The fair that preceded Spring Masters was called the Spring Show NYC. They brought Artvest in as a consultant to think about how to rejuvenate the fair. We realised that there was an opportunity to actually acquire the fair and put our own stamp on it. Could you tell us a little more about Rafael Viñoly’s architectural designs for the event: how do you think the new layout contributes to visitors’ experiences? Looking at the art fair landscape in the US, we felt that – with the exception of the contemporary sector – it hadn’t really changed in decades, and it hadn’t changed at the Armory at all. It’s always been this linear approach, where people walk down the aisles, and have to decide if they’re going to actually turn and enter a booth. Spring Masters exhibits everything from antiquity through to the 20th century, and we wanted visitors to see multiple galleries at once, to realise how the different categories of art work so well together. So Viñoly came up with a hexagonal design that – he didn’t realise this at the time – actually harked back to the original 1913 Armory fair. The fair promotes ‘collecting across categories’. Do you have any tips for new collectors who aren’t sure where to start? Educate yourself: go to as many art-related events as possible, and read as much as you possibly can. Don’t feel obligated to buy just because you’ve asked a lot of questions. You could engage a reputable advisor to help you through the process – but every genre is different, so a specialist in one category is not necessarily the person who should be giving advice in another. I think ultimately a collector should buy what they love, and they should buy with what they consider their disposable income. Art is an unregulated market, and we feel strongly that people should take care to have enough of their net worth set aside. When the financial market tightens, the art market also tightens, and you might wind up having to sell property at severe discounts to what you may have paid. Should you only buy what you want to keep? That’s our advice. You should buy the work because you love it. Or, you should buy the work because you think you’ll love it and you want to push yourself into a category beyond your immediate comfort zone. I think that’s one way great collections are built. That sort of experimentation in collecting strikes me as something that art fairs are particularly able to encourage. I think so. We don’t live in a purely contemporary environment, and we’re trying to appeal to this fact. Take Tom Hill, whose extraordinary collection of Renaissance sculpture (much of which is currently on view at the Frick) is often displayed in front of contemporary paintings. That shows you how these different periods can play off each other. And there’s still tremendous opportunity to buy historical masterworks for a fraction of the price that some of the contemporary masterworks are selling for today. There are so many art fairs these days – what sets Spring Masters apart, and how might it evolve in future? We believe that there are too many art fairs globally, so it’s ironic that we decided to acquire one. But we feel that we could really change the fair-going experience. A great deal more business is done at art fairs than in galleries, but it is only going to be done at certain fairs – successful ones that are really taking into consideration what the fairgoer is looking for. Many fairs that have superlative dealers, and so do we. What differentiates us is that we are so cross-category, and our design is a radical change from anything that preceded it. What has been the highlight for you of working on the fair? One of the wonderful things about running the fair is I get to be around some truly top quality works. There are countless pieces here that I would like to own personally. But I do strongly believe the saying that we are just caretakers of art, before it passes on to the next generation – it’s meant to be seen and enjoyed by countless people. ‘Spring Masters, New York’ is at Park Avenue Armory, New York until 4 May 2014.